Chile’s Chemical and Mining Society (SQM), the world’s largest lithium producer, has won a tender to develop a lithium concession in the country, which produces nearly 40% of the increasingly popular metal used as a key component in smartphones, hybrid cars and computer batteries. Local newspaper El Mercurio reports the Chilean firm presented a $40.8 million offer for the 20-year concession, outbidding the $17.4 million bid from Korean-Japanese Posco Consortium, which includes Posco Ltd, Mitsui & Co Ltd, Daewoo International Corp and Minera Li Energu Spa. SQM offer was also higher than its other main contender’s, the Sociedad Legal Minera NX UNO of Peine, majority owned by Chile’s Errazuriz Group, which offered $5.8 million. In a last minute decision, State-own copper producer Codelco resolved not to be part of this lithium concession process. However, it recently said it is evaluating participation by some of its deposits. Since Chile’s government announced in June its decision to privatize the country’s lithium, politicians, community leaders and even the local media have been immersed in a heated debate over who has the right to exploit the vast reserves of the so called “white gold” mineral the country has. The most polemic point in this process has been the fact that SQM, today's winner, belongs to Julio Ponce Lerou, son-in-law of dead dictator Augusto Pinochet, who ruled the country from 1973 to 1989. To make things worse, the brother of Chile's Minister of Mines, Patricio de Solminihac, is the current executive vice president of SQM and most Chileans don't believe he didn't obtain any classified information from his brother, which would explain why the company presented the best offer by a wide margin, local analysts and politicians claim. 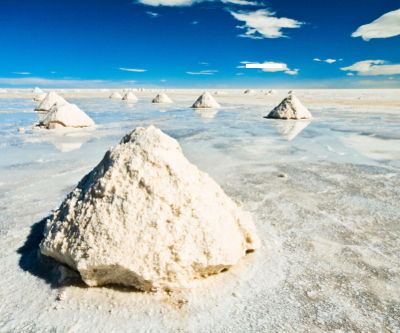 Chile, together with neighbours Bolivia and Argentina, own 85% of the world's known lithium reserves. Almost a third of the commodity's world production has been – until now – in the hands of two of the country’s State-owned companies. According to America Economia, Chile alone owns 70% of the world's lithium reserves. From these, SQM was granted rights to mine up to 100,000 tonnes of lithium over a 20-year period, in exchange for royalties paid to Chile’s government equivalent to 7% of the total output.